The whole world can rely on our steel. A company can be measured in many ways: with the quality of its products and of its service, but also with the numbers and percentages that have marked its history and its goals. 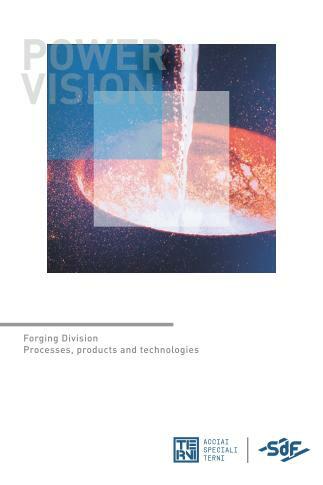 Today the productive Forging Division covers an area of 120,000 square kilometres and produces a very wide range of forgings. Our operating unit consists of the headquarters and the factory, both located in Terni (100 km north-east of Rome), well connected by roads and railways and served by the airports of Rome and Perugia and by the ports of Civitavecchia, Genoa / Venice and Livorno for international trade. These are our key numbers which describe a modern and growing company, ready, together with the AST Group, to face new challenges and new markets around the world.